Virago Reading Week: It's a Wrap! Although it's been snowing steadily, I've enjoyed a wonderfully green week as countless photos of beautiful Virago books have appeared in my reader. Obviously, Virago Reading Week is a huge success. Our tireless hostesses, Rachel and Carolyn, have compiled daily wrap-ups gathering links to our offerings: reviews, pictures, memories, contests, wishlists. My personal favorite, however, is this photo of Deacon the border collie. You must take a look... it made Zelda, our greyhound, more than a little nervous. I managed to finish two Virago titles, Excellent Women by Barbara Pym (reviewed here) and The Optimist's Daughter by Eudora Welty. Sadly, neither was an actual Virago edition. Also this week, I reminisced about a favorite Virago opening from The Enchanted April and learned (via The Writer's Almanac) that two Virago authors had birthdays this week. Their write-ups on the lives of Edith Wharton and Colette were too interesting not to share. In other exciting news, our tickets to London have been purchased! Late next month, Mr. LM and I will be visiting our daughter who is studying abroad. There are so many things we want to see and do, but of course there will be time for book browsing. I would love the company of London-area bloggers. You can bet I'll return with one of two Viragos and Persephones! Finally, a huge thank you to Rachel and Carolyn for a job well done! Many titles have been added to my wish list and a couple new blogs to my reader. There will be more of both, I'm sure, as I catch up on the daily wrap-up posts this afternoon. Mildred Lathbury, clergyman's daughter, thirty-something spinster in 1950's England, and 'excellent woman' often taken for granted, finds herself in the middle of her new neighbors marital crisis, as well as a church upheaval. "I suppose an unmarried woman just over thirty, who loves alone and has no apparent ties, must expect to find herself involved or interested in other people's business, and if she is also a clergyman's daughter then one might really say there is no hope for her." Quartet in Autumn is my only previous experience with Pym, but I was again treated to a wonderfully English-feeling novel. The effects of the war are still visible - a badly bombed church is only half-usable, housing shortages remain and (hard for me to imagine from my 21st century comfort) total strangers are required to share bathrooms. Meat supply seems scarce and tea-drinking occurs every few pages. Mildred is an extremely perceptive woman, and much of her life is based on appropriateness, capability, and manners. It's a rather quiet life caring for 'gentlewomen' in the morning, attending various church services, and taking part in nearly all day-to-day church activities. Life takes an interesting turn as Mildred becomes involved in the lives, and marital crisis, of her glamorous new neighbors, the Napiers. Helena is a beautiful anthropologist lacking domestic skills, while Rockingham, or 'Rocky', is a handsome, engaging officer recently returned from Italy. Through the Napiers, Mildred is also introduced to the unmarried Everard Bone, Helen's research partner. Church life is shaken up when Allegra Gray, a stylish clergyman's widow, takes a room at the vicarage where (single) Father Julian Malory presides while being looked after by his sister Winifred (also an 'excellent' woman). Mildred's character unfolds as she interacts with all these people. Although there are some very funny moments, the poignant episodes seemed to stand out, leaving me with a overall bittersweet feeling. After turning the last page, I wanted nothing more than to begin another Barbara Pym novel. Bottom line: A wonderfully perceptive English novel by an author I will be reading much more of... especially recommended to those who enjoy quiet, character-driven novels. Virago Reading Week is hosted by Rachel and Carolyn. 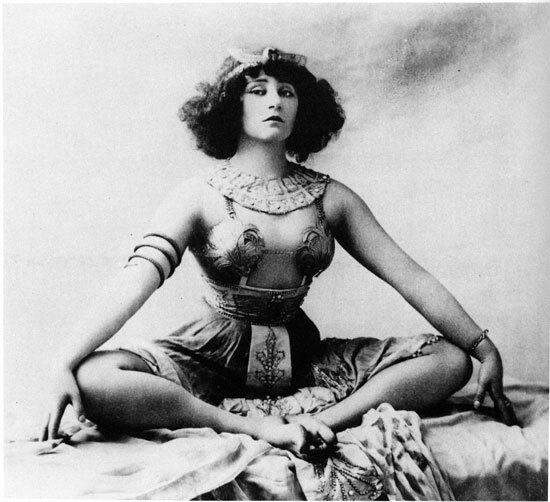 Today marks the birth of another favorite Virago author - Colette. Last year, I enjoyed Cheri and The Last of Cheri, and plan to read more of her novels following the TBR Dare. Have you read Colette? Virago publishes one title, The Other Woman. It is the birthday of the writer who said, "Be happy. It's one way of being wise." 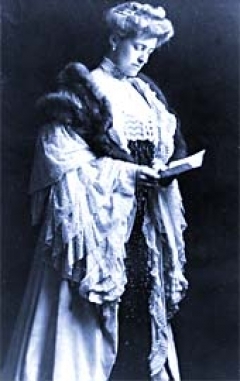 That's Colette, (books by this author) born in Saint-Sauveur-en-Puisaye, in the Burgundy Region of France (1873). She's the author of more than 70 books of fiction, memoir, and journalism, including the novel Gigi (1944), which has spawned a number of stage and film adaptations. "What am I doing? Heavens, I'm spinning. And I use this verb as a planet would. Yes, I'm spinning. I've seen roses, honeysuckle, forty degrees Centigrade of dazzling heat, moonlight, ancient wisteria enlacing the door of my old home in Saint-Sauveur. I've seen the night over Fontainebleau. And as I said, I'm spinning. Beside me there a is a dark boy at the wheel. I'm on my way back to Paris, but shall I stay there? The dark boy beside me is still at the wheel, and how strange everything is! And how good I am, and how amazed I am, and what wise improvidence in my behaviour! Oh yes, I'm spinning! As you can see, you must not worry about me. From time to time I am uneasy about myself, and I give a start, prick up my ears, and cry out, But what are you doing? and then I refuse to think any more about it ... Just now, on the telephone, an enlightened Chiwawa, enlightened by the dark, dark, dark boy, sang my praises. The era of frankness is back and the cards are on the table. But, my Marguerite, how strange it all is! ... I have the fleeting confidence of people who fall out of a clock tower and for a moment sail through the air in a comfortable fairy-world, feeling no pain anywhere ..."
Colette married three times, gave birth to a child at the age of 40 whom she left to be raised by an English nanny, had an affair in her 50s with her 16-year-old stepson, and was forever scandalizing her French contemporaries. But she was also highly respected, the winner of all sorts of prestigious international literary awards. And when she died at the age of 81, she was the first woman in France to be honored with an official state funeral. She once said, "What a wonderful life I've had! I only wish I'd realized it sooner." And, "Sit down and put down everything that comes into your head and then you're a writer. But an author is one who can judge his own stuff's worth, without pity, and destroy most of it." And Colette wrote: "By means of an image we are often able to hold on to our lost belongings. But it is the desperateness of losing which picks the flowers of memory, binds the bouquet." To Those Who Appreciate Wistaria and Sunshine. April. Necessary servants remain. Z, Box 1000, The Times." I don't know about you, but that ad would certainly catch my attention... especially during these cold, bleak winter days. The beautiful images evoked open a door to endless possibilities. 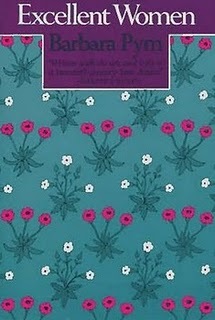 The Enchanted April by Elizabeth von Arnim is a wonderful book. Why not escape to Italy today? My complete review is here. Today marks the beginning of Virago Reading Week hosted by Rachel and Carolyn. It is also Edith Wharton's birthday. Do you suppose this is purely coincidence? I think not, and give full credit to our gracious hostesses. This article from today's Writer's Almanac seemed the perfect way to start the week. It's the birthday of the writer who said, "Life is always a tightrope or a feather bed. Give me the tightrope." That's Edith Wharton, (books by this author) born in New York City (1862). She wrote about frustrated love in novels like The House of Mirth (1905), Ethan Frome (1911), and The Age of Innocence (1920), for which she became the first woman to win the Pulitzer Prize. She came from a rich and snobbish New York family who lived off the inheritance of their real estate and banking tycoon ancestors, and she spent several years of her early childhood traveling around Europe. When she was 10, her parents re-settled in New York, around 23rd and Park Avenue. She was a teenage bookworm, reading insatiably from her family's expansive library and feeling alienated and adrift in the New York high-society circles her family moved in. At 23, she married a family friend, a classy, good-looking sportsman named Edward "Teddy" Robbins Wharton, who wasn't particularly fond of books. He had a tendency for manic spells, extravagant spending sprees, and infidelity. It was a long and miserable marriage. "Do you know what I was thinking last night, when you asked me, &; I couldn't tell you? — Only that the way you've spent your emotional life while I've ... hoarded mine, is what puts the great gulf between us, & sets us not only on opposite shores, but at hopelessly distant points of our respective shores. Do you see what I mean? "And I'm so afraid that the treasures I long to unpack for you, that have come to me in magic ships from enchanted islands, are only, to you, the old familiar red calico & beads of the clever trader, who has had dealing with every latitude, & knows just what to carry in the hold to please the simple native — I'm so afraid of this, that often & often I stuff my shining treasures back into their box, lest I should see you smiling at them! "Well! And what if you do? It's your loss, after all! And if you can't come into the room without my feeling all over me a ripple of flame, & if, wherever you touch me, a heart beats under your touch, & if, when you hold me, & I don't speak, it's because all the words in me seem to have become throbbing pulses, & all my thoughts are a great golden blur — why should I be afraid of your smiling at me, when I can turn the beads & calico back into such beauty —?" He left her in 1911, and she stayed married to Teddy for a couple more years, though the two lived apart from each other during the last part of their 28-year marriage. She loved living in Paris, and there she mingled with people like André Gide, Jean Cocteau, Theodore Roosevelt, and F. Scott Fitzgerald, whom she once told: "To your generation, I must represent the literary equivalent of tufted furniture and gas chandeliers." But she wasn't prim or overly proper, and she famously enjoyed one of Fitzgerald's scandalous stories, about an American couple in a Paris brothel, which he drunkenly related the first time he met her. Modernist writers were among her contemporaries, but she didn't use modernist techniques like stream-of-consciousness in her own writing, and she wasn't a fan of it in others'. She once said about James Joyce's Ulysses (1922), "Until the raw ingredients of a pudding make a pudding, I shall never believe that the raw material of sensation and thought can make a work of art without the cook's intervening." She died in Paris at the age of 75. At the time of her death, she was working on a novel called The Buccaneers, about five rich American girls who set out to marry landed British men, so that they can have English feudal titles in their names, like "Duchess." In her last days, she lay in bed and worked on the novel, and each page that she completed she dropped onto the floor so that it could be collected later, when she was through. Many of her novels have been made into movies. The House of Mirth, The Glimpses of the Moon, and The Age of Innocence were all adapted into silent films around the 1920s. John Madden directed a version of Ethan Frome in 1993, the same year Martin Scorsese directed a film adaptation of The Age of Innocence. In 2000, Gillian Anderson stared in The House of Mirth, directed by Terence Davies. "You have hit upon the exact word; I was fond of him, yes, just as I was fond of my grandmother, and the house that I was born in, and my old nurse. Oh, I was fond of him, and we were counted a very happy couple. But I have sometimes thought that a woman's nature is like a great house full of rooms: there is the hall, through which everyone passes in going in and out; the drawing room, where one receives formal visits; the sitting-room, where the members of the family come and go as they list; but beyond that, far beyond, are other rooms, the handles of whose doors perhaps are never turned; no one knows the way to them, no one knows whither they lead; and in the innermost room, the holy of holies, the soul sits alone and waits for a footstep that never comes." 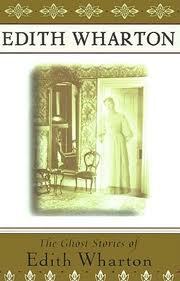 "And your husband," asked the Spirit, after a pause, "never got beyond the family sitting-room?" "Never," she returned, impatiently; "and the worst of it was that he was quite content to remain there. He thought it perfectly beautiful, and sometimes, when he was admiring its commonplace furniture, insignificant as the chairs and tables of a hotel parlor, I felt like crying out to him: 'Fool, will you never guess that close at hand are rooms full of treasures and wonders, such as the eye of man hath not seen, rooms that no step has crossed, but that might be yours to live in, could you but find the handle of the door?'" And Edith Wharton said, "There are two ways of spreading light: to be the candle or the mirror that receives it." Good morning, and welcome to another Sunday Salon. It's a bitterly cold morning with temperatures hovering around zero, and forecast to stay here all day. There's a fire in the fireplace and coffee in my mug, and I'm ready to talk about books. Speaking of the TBR Dare, I'm thinking of giving myself permission to acquire one new book for every two (or maybe three) read from my collection. I needed some extra motivation NOT to buy every Pym title in sight yesterday and this seemed to satisfy me. In addition to Pym, the next book to purchase may be The Weird Sisters by Eleanor Brown. Bloggers seem to love this, but Lynne's review convinced me that I NEED to read it. Amazon has also named it one January's best books. There was a moment this week, however, when I was actually grateful for the TBR Dare. You know I love a good readalong, right? Well, Jill is at it again. This time it's Jousting with Joyce, a Ulysses readalong, and I have an easy, automatic excuse. Thank God there's not a copy on my shelf! Finally... Virago Reading Week, hosted by Rachel and Carolyn, begins tomorrow! My review of Excellent Women will be posted during the week and today I will decide on another title to read. Carolyn has posted the complete list here. Possible choices for me include several books by Willa Cather, Elizabeth von Arnim's Elizabeth and Her German Garden, The Optimist's Daughter by Eudora Welty, and The Age of Innocence by Edith Wharton. We'll see which one strikes me this afternoon. Will you be reading Viragos this week, too? Which titles have you chosen? 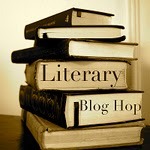 The Literary Blog Hop takes place every other week at The Blue Bookcase. 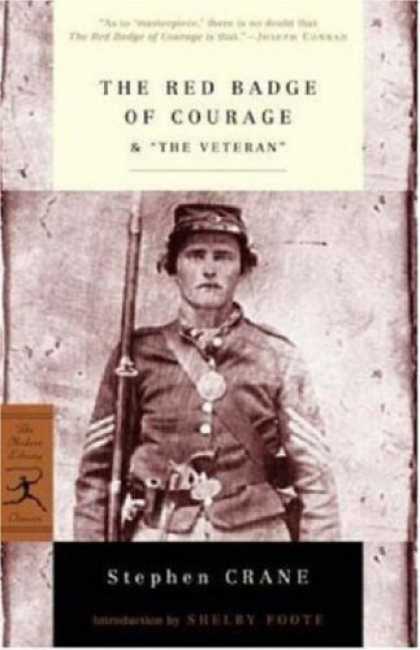 It's been a long time since I've had to read a book for school, but The Red Badge of Courage by Stephen Crane immediately comes to mind as one I particularly despised. During high school, I was selected for a summer enrichment program at nearby university and Crane's book was assigned for the literature class. 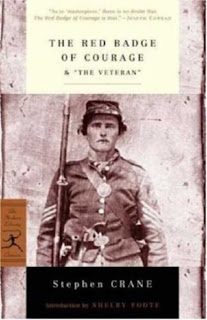 War books have never really appealed to me and, I supposed it can be traced back to my experience with The Red Badge of Courage. The only thing I recall is the Civil War setting... no plot, characters, or themes. More answers to this question can be found here. Many of you know my daughter Margaret (previously known as Twin A) and I teamed up last spring to start Lakeside Kitchen, a cooking blog. 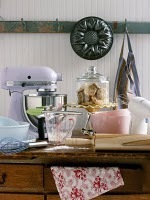 Margaret loves to bake and we thought it would be fun to chronicle our culinary adventures. Things got quiet over the holidays (lots of baking, just not much blogging), but the kitchen is busy again. Margaret did a Weekend Cooking post on the Happy Vegan Chocolate Chip Cookies she baked. On Sunday, we decided to sign up for The Foodie Challenge: Whip Up Something New. 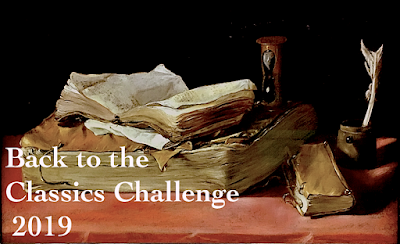 The object of the challenge is to try a new recipe each month and blog about it. Trish and Joanna got things rolling, but hosting duties will rotate each month. Yesterday's post featured the butternut squash soup I made in the crock-pot. Since this was a new recipe, I decided to use it for the Foodie Challenge. "So you say that man cannot understand what's good and what's bad on his own, that it's all a matter of the environment, that he's a prey to the environment. But I think it's all a matter of chance. Here, I'll tell you about myself." 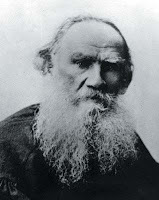 Those opening lines to Leo Tolstoy's short story "After the Ball" had me rolling my eyes and thinking I wasn't going to get very far with the story, but I was wrong. Ivan Vassilievich's description of a ball, the exquisitely beautiful woman he fell in love with, and her father, the colonel, drew me in immediately. I did not look up until ten pages later when, at dawn after the ball, Ivan witnesses a brutal military act involving the colonel. He claims this chance incident changed the course of his life. "So, do you think I decided then that what I had seen was a bad thing? Not a bit of it. 'If it was done with such assurance and was acknowledged by everyone as necessary, it means they know something that I don't know,' I thought and tried to find it out. And not having found it out, I could not enter military service, as I had wanted before, and not only did not serve in the military, but did not serve anywhere and, as you see, have been good for nothing." Ivan's love for the beautiful girl also dwindled away, because thoughts of her invariably lead to recollections of the colonel. This story will cause you to stop and think. Anna Karenina is my only previous experience with Tolstoy. I read it around the time Oprah selected it for her book club, and can remember sitting in the bookstore comparing two translations before finally choosing Pevear & Volokhonsky. Prior to that day, translation never really seemed important to me. Pevear and Volokhonsky have now translated The Death of Ivan Ilyich & Other Stories. It was recently released in paperback by Vintage Classics, and I was lucky to receive the extra review copy sent to my daughter's college newspaper. It seems perfect for winter reading. "After the Ball" can be read online, but in an older translation. Another Sunday morning, and it's still snowing! We usually average 120" per winter, but the 100" mark is already a memory and expectations of a record-breaking season continue to mount. The weather cancelled quite a few activities this week (but not school), so there were a couple of unexpected evenings at home. As a result, the TBR Dare is going well. I finished Major Pettigrew's Last Stand, and have been reading from two short story collections. However, that's just three books from my shelves, and fifteen have been added to my wish list in the meantime. Today, I'll be choosing a new novel from my shelves. 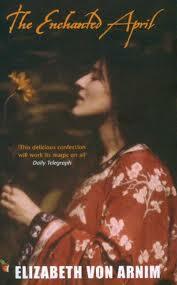 The top contenders are The Optimist's Daughter by Eudora Welty and Excellent Women by Barbara Pym. The other option is to continue with Pevear and Volokhonsky's new translation of Tolstoy's short stories ... which seems to fit best with the view from my window. We are supposed to attend a birthday dinner for my sister later this afternoon, so hopefully the snow will let up. The driveway was plowed at 8:30 AM and now, just two hours later, it needs to be done again. 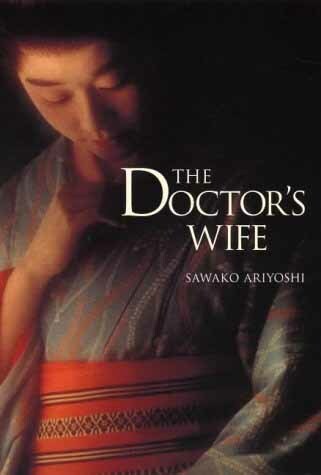 This novel is based on the life of Dr. Hanaoka Seishu (1760-1835), the Japanese doctor who performed the first operation under general anesthesia, but focuses primarily on the relationship between his wife and mother. After a string of long books, I was craving one that could be read in just a couple of sittings. The Doctor's Wife had been on hold for months (thanks to Mel's review), and my library came through just before the TBR Dare got started - a rare case of perfect timing. As a young girl, Kae is mesmerized by the beauty of Dr. Hanoka's wife, Otsugi. Years later she is overjoyed when Otsugi selects her to be the bride of their eldest son. Umpei is away studying medicine but Kae, it seems, possesses all the qualities necessary for a doctor's wife. A marriage ceremony takes place without the groom. Three years will pass before husband and wife finally meet. During that time, a close and loving relationship develops between Kae and her mother-in-law. When Umpei eventually comes home to take over his father's practice, Kae and Otsugi's relationship becomes fraught with jealousy and deteriorates quickly. Umpei (also called Seishu) is intrigued with surgery, especially breast surgery. Common belief held that a woman's breasts were vital to life and pain associated with surgery would result in death. Umpei experiments with anesthesia on animals, and is eventually ready to try his new medicine on humans. The novel gets very interesting as Kae and Otsugi vie to become the first human subjects, thus proving their greater love for Umpei. There is an especially hilarious dialog with each one-upping the other listing reasons why she should be chosen. Both women, however, are actually afraid the medicine will kill them. I won't spoil things by telling you who gets to be the 'guinea pig' or the outcome of the clinical trials. It's certainly worth reading this short book to find out. The prose is simple and straight forward, at times even beautiful. The women's relationship takes center stage, but the book is also an interesting look at male-oriented family life and the 'business' of medicine in Japan in the early 1800's. A short, enjoyable novel, that offers an interesting look at medicine and female relationships in a male-oriented Japanese family. Hello, Short Story Monday.... meet the TBR Dare. Nearly fifty bloggers have accepted C.B. James' dare to read only from our shelves until April 1. Since my shelves hold plenty of short stories, Short Story Monday posts will focus on collections and anthologies I've purchased over the last couple of years, as well as back issues of The New Yorker piled on my coffee table, for the entire first quarter of 2011. "Oh, there is one, of course, but you'll never know it." "I don't want to have to drive ten miles to see somebody else's ghost. I want one of my own on the premises. Is there a ghost at Lyng?" "But if it's once been identified as an unearthly visitant, why hasn't its signalment been handed down in the family? How has it managed to preserve its incognito?... Suddenly, long afterward, one says to one's self 'That was it'?" Alida can only offer the words, "One just has to wait." "Oh, hang waiting!" Ned broke in. "Life's too short for a ghost who can only be enjoyed in retrospect. Can't we do better than that, Mary?" The fun, and creepiness, comes with the unfolding story and discovery of the ghost... afterward. "Afterward" was less ambiguous and, ultimately, more satisfying than "The Lady's Maid's Bell" (reviewed here), also included in this eleven story collection. "Afterward" may also be read online. The view from my window this Sunday morning reminds me of our holiday snow globe featuring the Times Square New Year's Eve Ball, just removed from the mantle yesterday and packed away with the rest of the Christmas decorations. Yes, the holidays are officially over, and we're heading into the heart of winter. I usually read more during these months and this year, thanks to the TBR Dare, all the books will come from my own shelves. So, let it snow! 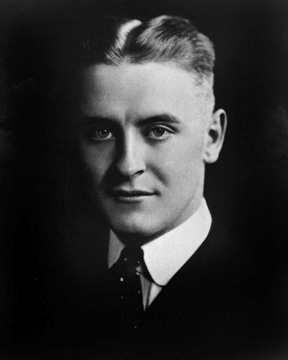 This week I was in the mood for short stories and pulled down Tales from the Jazz Age by F. Scott Fitzgerald. 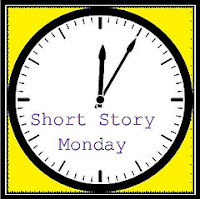 My Short Story Monday post featured "The Jelly Bean". Later in the week, I turned to The Ghost Stories of Edith Wharton. My current novel is Major Pettigrew's Last Stand by Helen Simonson. This charming, cozy book is perfect for a winter evening by the fire. 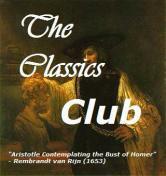 My book club will discuss it later in the month. In other news, Daughter #1 arrived safely in London for her semester abroad. There were, thankfully, no weather delays as she traveled from central New York, to JFK, to Heathrow. She settled into her South Kensington housing and began to explore the city. Formal orientation started today. The Royal Wedding thwarted our original plan to visit in late April, so we're looking at February. We may arrive just in time to celebrate Claire and Verity's Persephone Reading Weekend with a trip to the Persephone Bookshop! It may be a quiet day today - shoveling snow, soup or chili in the crock-pot, and Major Pettigrew's Last Stand. How will you spend this snowy Sunday? The Group follows eight new Vassar graduates, friends from the class of 1933, as they make their way in the world. First, a big thank you to Claire of Paperback Reader for bringing this book to my attention and convincing me to make an immediate purchase. Outstanding reviews by Nymeth and Kals motivated me to pitch the title to my book club, in hopes that I might get to read it even sooner. 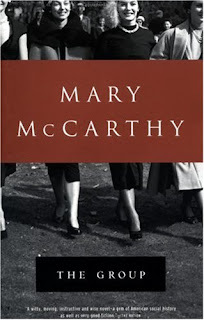 While the characters in the novel are interesting, the glimpse into the lives of young women in the 1930's is even more remarkable. We are introduced to 'the group', fresh from graduation and ready to take on the world, at the wedding of one of its members. The worst fate, they utterly agreed, would be to become like Mother and Dad, stuffy and frightened. Not one of them, if she could help it, was going to marry a broker or a banker or a coldfish corporation lawyer, like so many of mothers generation. The Group is a fascinating piece of social history. My grandmother was older than these women, and my mother younger, so I never really heard stories from this decade. Some views expressed by the characters were surprising, while others made me laugh. This hospital..was like an up-to-date factory: no baby was sent out until he was in good working order, tried and tested and guaranteed to run without friction for at least the first few months... And these new babies who ate and slept regularly, on a schedule, like little clocks... were going to grow up into a new kind of man, who perhaps (it did not do to be too optimistic) would no longer want to make wars and grab property. (page 308). There are several plotlines involving each of the characters and, initially, I had trouble keeping them all straight. The novel reaches its conclusion nearly a decade later at another group gathering. It's all too obvious that life has taken it's toll on the idealism and enthusiasm of the women's earlier years. The Group was one of my favorite books of 2010. Ten of us met on a snowy morning in mid-December. The hostess's house was decorated for the holidays and we were all in a festive mood. Eight of us had even finished the book. This was a particularly interesting novel to discuss with the book club. Although the majority of us are around 50, we range in age from 30's to 70. Most had not previously heard of The Group, but our older members remembered the scandal surrounding the book's publication. One member, who was in high school at the time, even covered the book with a brown paper bag so nobody would know what she was reading! We laughed at the childbirth/hospital scenes, praised advances in birth control, were surprised at the amount of sexual activity (could our mothers or grandmothers really have behaved like this? ), and marveled at the progress women in general have made since the 1930's. For many of us, these women are just a generation or two older. How far we have come! The Group is much more than a well-written, engaging novel. It is a fascinating piece of social history. Jim Powell was a Jelly-bean. Much as I desire to make him an appealing character, I feel it would be unscrupulous to deceive you on that point. He was a bred-in-the bone, dyed-in-the wool, ninety-nine three-quarters per cent Jelly-bean and he grew lazily all during Jelly-bean season, which is every season, down in the land of the Jelly-beans well below the Mason-Dixon line. "Jelly-bean is the name throughout the undissolved Confederacy for one who spends his life conjugating the verb to idle in the first person singular - I am idling, I have idled, I will idle. The first chapter introduces Jim Powell. He never liked parties much, was mostly scared of girls, and, at twenty-one, has returned from the war (he served in a navy-yard in Brooklyn) to live above Tilly's Garage, where he occasionally works. He also happens to be a champion crap-shooter. The second chapter is written mostly in dialogue. An old friend invites Jim to a party at the country club. On impulse he accepts, but feels woefully out of place. So ten o'clock found the Jelly-bean with his legs crossed and his arms conservatively folded, trying to look casually at home and politely uninterested in the dancers. At heart he was torn between overwhelming self-consciousness and an intense curiosity as to all that went on around him. At the party, Jim is dazzled by the popular Nancy Lamar, also reputed to be a fine crap-shooter, but one who often gets into trouble after too much "good old corn". Remember, this is during prohibition. An after hours crap shoot follows the dance. Jim watches as Nancy has an amazing winning streak, however her luck turns as the alcohol flows. He steps in to "save" her, and is rewarded. As morning breaks, Fitzgerald writes poetically of Jim's change in attitude, his desire to better himself, and finally, a realization. In this heat nothing mattered. All life was weather, a waiting through the hot where events had no significance for the cool that was soft and caressing like a woman's hand on a tired forehead. This story originally appeared in The Metropolitan periodical, and was included in Fitzgerald's Tales of the Jazz Age in 1922. This is a wonderful story, and I look forward to reading more from the collection. You can read "The Jelly-Bean" here. "Queen JoAnn" embroidered on pajamas...quite a gift! Syracuse football wins a bowl game! Yes, it's time to go back to Weight Watchers. You know what that means... resolutions galore. 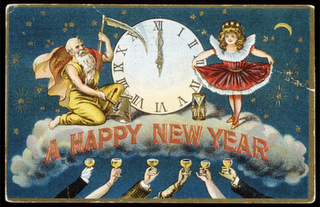 In the interest of keeping the new year stress-free (an expression that's getting a lot of use around here lately), I have made only a few resolutions and set very modest goals. 1. Read the books I already own. My shelves are full of so many wonderful books just waiting to be read, yet in 2010, only seven books came from my collection. To help with this resolution, I've signed up for C.B. James' TBR Dare. It concludes in April, but I'd love to last even longer. 2. Top priority goes to book club selections. 3. Keep commitments to a bare minimum. No challenges, blog tours, or scheduled posting dates for now. I do enjoy read-alongs though, and plan to join in as time allows. 4. Remember that numbers don't matter. Although I would love to read a book per week, that hasn't happened in several years. I love long books and will not shy away from them in 2011. One quarter of the books I read in 2010 were over 500 pages, and that may be even higher this year. 5. Get back into the short story habit. Short Story Monday posts seem to have fallen by the wayside over the past six months. I love short stories and am not quite sure how this happened, but it's time to return to the routine. I'd like to read one third nonfiction, but I've been stuck at 20 to 25 percent for the last few years. I could easily add a few more, but six seems like a manageable number. 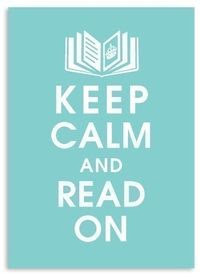 Have you made reading resolutions for 2011?